It's been a long time since my last post and i must say that i haven't forgotten you nor this forum, just too much work these days. How are You, any new projects ? I had some extra time during Easter holidays, so i fitted space wired APC inside a Osram Centra bulb (diameter 80mm and length 160mm). It's controlled whit two LDR's they need to be at very dark to start oscillating at audio frequency, so it's kind of optimised for gigs at dark places. It has also microphone stand adapter. Thanks, i got the idea of those ships in a bottle. I have some huge bulbs that are waiting for me... I'm thinking of WSG in a bulb. if anyone has any suggestions of some other simple circuits please advice me. Hey, that is absolutely fantastic - really lovely object design mmmmm! The APC is actually based on the dual timer 556 chip or two 555 timers. i will try on the WSG, its based on 40106 and has some free gates.. the BoardWeevil sounded great... lets see what comes up. 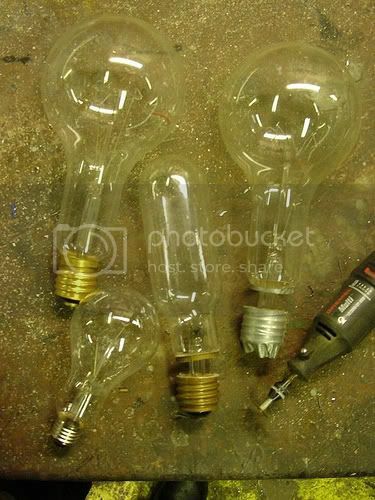 How did you get into the bulbs without breaking them ? I mean there is the inside piece of glass holding the filament originally, but you had to cut that at the lamp's base I guess the dremel will just do that for you ? yeah how did you prevent it from shattering when you released its pressure? Dnny! You're back home! !! Now, how did i get the bulb open without breaking it? I did my cut a bit higher than John advices to keep the glass stem in place. 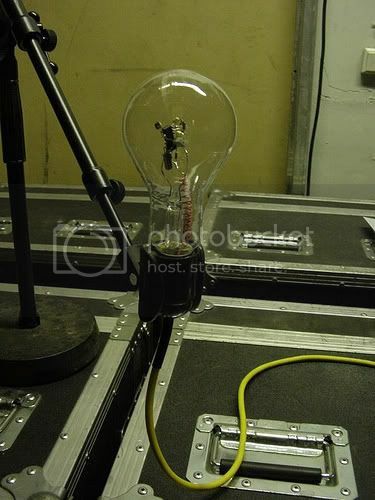 then i inserted the APC module into the bulb and casted the metal screw cap back to its place whit epoxy. 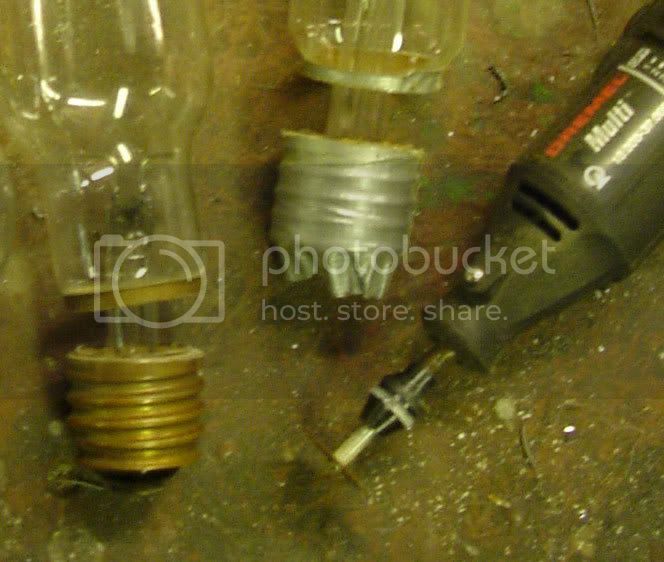 Be careful, some bulbs contain very high pressure and will explode if you want to cut them. Try to avoid HID (High Intensity Discharge) bulbs, xenon arc lamps, High pressure sodium lamps, Metal halide lamps and High pressure mercury vapor lamps... The local lighthouse might have the perfect bulb in shape and size to fit a real modular inside, but those bulbs are not the ones to cut. 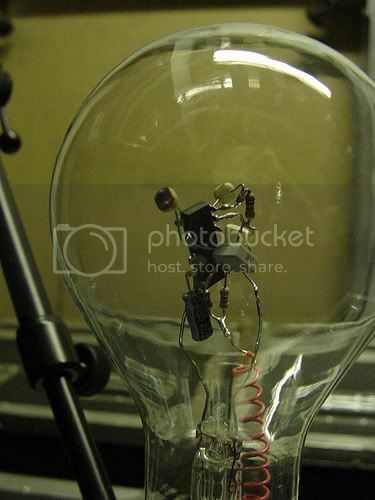 Stick whit low pressure Incandescent lamp, if you are not sure of your lamp/bulb type don't cut it. this first part of the article is not online so if you want to read it, download the zip. Sweet Dnny, You can teach an old dog new tricks. Very nice indeed.